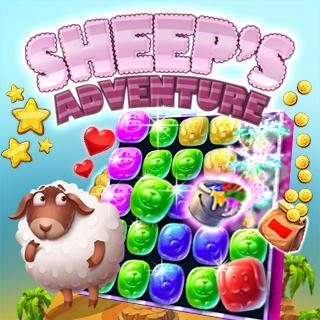 Join the little sheep on its adventure around the world in this cute Match3 game! Tap on groups of at least 3 blocks of the same color to remove them from the field and try to complete all level goals. Use boosters and special stones to solve difficult levels and reach the target score! Sheeps Adventure - Find Sheeps Adventure in our vast HTML5 games catalogue. Only the best and newest HTML5 games for all audiences. Guaranteed success with Famobi.